Over 200 people died in the horrific earthquake that struck Mexico City on September 19th, 2017, reminding everyone that earthquakes are one of the only natural disasters that can completely destroy a large area without a hint of warning. Not only do they collapse buildings, destroy bridges, cut water pipes, and knock down power lines, they can even do things like trigger volcanic eruptions, as in this case. Unfortunately, there is no way to predict an earthquake. While many people who live along the fault lines know an earthquake is possible and experience relatively minor earthquakes on a regular basis, the big ones are always a complete surprise. There are plenty of experts who are predicting massive earthquakes to strike the west coast and even in the Pacific Northwest. The newest fault in the center of the country could also result in a strong earthquake in areas that have never experienced earthquakes in the past. It can be a little intimidating to live life on the edge, waiting for the big one. A major earthquake will disrupt the power grid, water systems, and life in general. Businesses that are still standing will likely be closed for some kind of repairs or to allow employees the chance to take care of themselves and their homes. Grocery stores that are still standing will have their shelves wiped out within hours of the quake striking. Emergency aid will arrive, but it could take days or longer to mobilize enough aid to take care of a huge population. Although you can’t predict when the big one will hit, you can prepare yourself to live through it and come out the other side able to live without basic services for weeks. Here are some tips to help you survive an earthquake and the subsequent chaos. 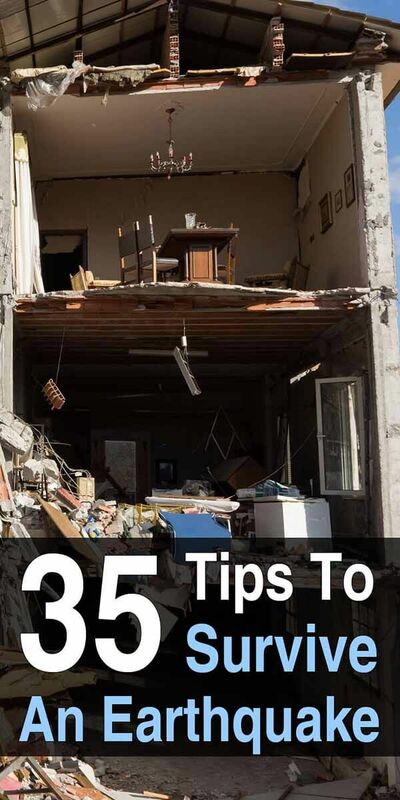 You can increase your chances of surviving an earthquake by taking care of some things around the house and talking with your family about what to do should they feel the ground moving. Brace furniture that could topple forward in an earthquake. Things like tall dressers, bookshelves, and hutches can fall forward and injure somebody. Use a combination of brackets and wall anchors to secure furniture to the wall. Use a drill and make sure it is drilled into a stud. Label the main shut-offs for the water, gas and electric. This way your family knows right where to go. Attach the proper tool for the gas shut off on a chain and hang it next to the main. Come up with a plan for your family to follow when an earthquake strikes. The plan should include what to do during and after the quake. Talk about how they should check in with you and where they should go if they weren’t at home or the home was destroyed. Run drills with the family. This will help commit the plan to memory and remove some of the anxiety about what to do during an earthquake. The drills are basically training for the big one. Take a walk around your home and identify any areas that are weak. If the home isn’t secured to the foundation, it could move during an earthquake. Pier and post foundation systems should be secured as much as possible. Inspect the crawl space and see if it needs to be reinforced. Remove any mirrors, heavy pictures, or other décor from the wall space above the bed. You don’t want the items to fall on you should you be in bed when an earthquake strikes. Make sure you have a working fire extinguisher. I should be mounted to a wall or somewhere easily accessed. Establish a contact with someone who lives out of your area. Should there be an emergency, this is who each of your family members will call to check in with if you are separated. Phone lines will be down and cell towers will probably be overloaded. You will want a way to know everyone’s status. Put all your important family documents–passports, birth certificates, deeds, etc–into a fire proof safe. It is a good idea to put the policy numbers for your homeowners, auto, or renter’s insurance in the box as well. The following items should be stored in case of an earthquake. 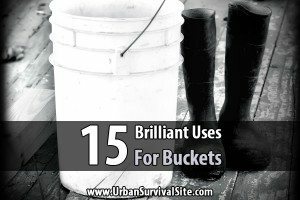 Putting these things into 5-gallon buckets will provide protection from falling debris and flooding. Sealing the lid ensures your supplies will be relatively safe. It also makes the supplies easy to grab from under rubble should your house collapse. Note: This list is not meant to be exhaustive, it’s just to get you started. During the earthquake itself, there is very little you can do except hold on and wait for it to be over. The shaking can last anywhere from 10 to 30 seconds during an average earthquake. For earthquakes that are stronger than a 7.0 magnitude, the shaking can last for about a minute or more. When you are in the quake, it will feel much longer. If you are at home in bed, stay put. Moving around will be difficult and you risk injury. Pull the blankets over you and put the pillow over your head to protect you from any falling debris. Drop to the ground before the earthquake knocks you to the ground. Get on your hands and knees where you are. Don’t bother with the doorway suggestion as that no longer applies to today’s building standards. If there is a sturdy desk or table, crawl under it. This will provide some protection from falling debris. If there’s no protection, cover your head with your hands. If there is a blanket or even a book within reach, cover your head with that. Avoid windows and hanging mirrors. Crawl into the center of the room to avoid getting cut by breaking glass. If you are outside when the shaking starts, drop to the ground and crawl as far from any buildings as possible. The best possible scenario is an open field. Do what you can to get away from trees and structures. If you are driving, stop the car and stay put. Do not stop under an overpass or next to a building. Don’t try to use an elevator. If you are in an elevator when an earthquake starts, an earthquake button may be present. Press it and get out the second the doors open. If the elevator doesn’t have an earthquake button, press the button for the floors you are closest to and get out when it stops. If you are in a wheelchair, lock the brakes. Curl up and protect your head as best you can. Once the shaking has stopped, take a deep breath and evaluate your injuries. You survived and now it is time to spring into action. There are going to be about a million things you think you need to do, but you need to prioritize your actions. Safety is always going to be your biggest priority. The rest can wait. After a massive earthquake, there will be aftershocks that will be just as strong as an average earthquake. This can be frightening and be the final straw that sends a building to the ground. Aftershocks will need to be ridden out just like an earthquake. Check the status of everyone in the house. 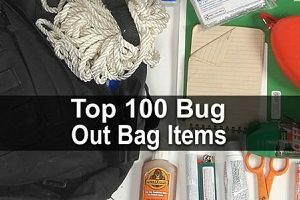 Provide immediate first aid as needed. You may need to remove fallen objects from your family members. Get everyone out of the house if you suspect it may collapse. Put shoes on everybody. There will be a lot of broken glass on the ground and you want to prevent any further injuries. Turn off the water, gas and electrical mains. This is important to prevent fires or electric shock. If you are in an apartment building or office, get out. Get away from the building and into an open area to await assistance and ride out the coming aftershocks. Avoid stepping into any puddles of water near downed power lines. Do not get near any power lines that are live. If you don’t know if the line is live, stay away. If you see a chemical spill or gas has been dumped, cover it with dirt. 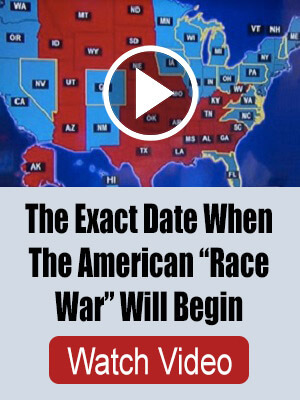 This will mitigate it for the time being. Check on neighbors and assist with digging people out as needed. Avoid going into crumbling structures; you could end up needing rescuing yourself. Avoid using a flame, candle or lighter. This is in case a nearby gas line has ruptured. Extinguish any fires you can safely put out. If your garden hose is connected and functioning that will work for areas outside or use your fire extinguisher for smaller fires. Disaster recovery can take several months. Rescue and aid workers will begin arriving within 72 hours of a major disaster. The first few days will leave the community relying on itself. You will want to do what you can to take care of your own and offer help when you can. Your main priority is safety. Aftershocks can happen every hour and for weeks following the earthquake. Unstable buildings will not be able to withstand the constant assault on the foundations. Do not go into any buildings made of bricks or cement. One aftershock could send it tumbling to the ground. If your home is unstable, put up a tent or make a shelter on your property. That is, if there is no risk of tall buildings coming down on it. Do not drink any water from the tap. It could be contaminated, especially if the power grid has been shut down. Rely on your food and water supply to sustain you. Do not eat any food that was already opened and could have been exposed to falling debris. 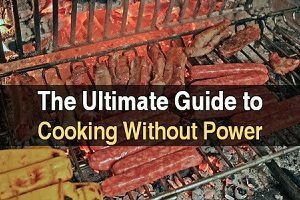 You can eat the food out of the refrigerator if the power has only been off for a couple of hours. Food in your freezer will be safe to eat for the first 18 to 24 hours following the power going out. Listen to the radio, as AM stations should still be working. Keep updated with the latest news and recovery efforts. If your cell phone is working, contact the person you established as an out-of-town contact. Keep your extended family updated about your well-being. Register your name with the Red Cross. You can add your name to the list of people who are safe. This will help in case you can’t reach anyone by phone. If possible, contact your insurance agent to get started in the claims process. Take pictures of the damage to your home and vehicles if you can. Earthquakes can be terrifying. Do what you can to prepare your family to live through an earthquake and survive the difficult weeks after the disaster. 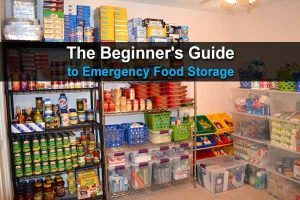 Having a supply of food and water and a way to make a shelter if need be will help keep your family calm and safe while you begin the process of rebuilding. Thank you for your article. FYI, you mention a fire-proof safe for important documents — I live in N. California, where the wildfires came through in October, & many people who had safes that were supposedly fire-proof had them burn completely up anyway.